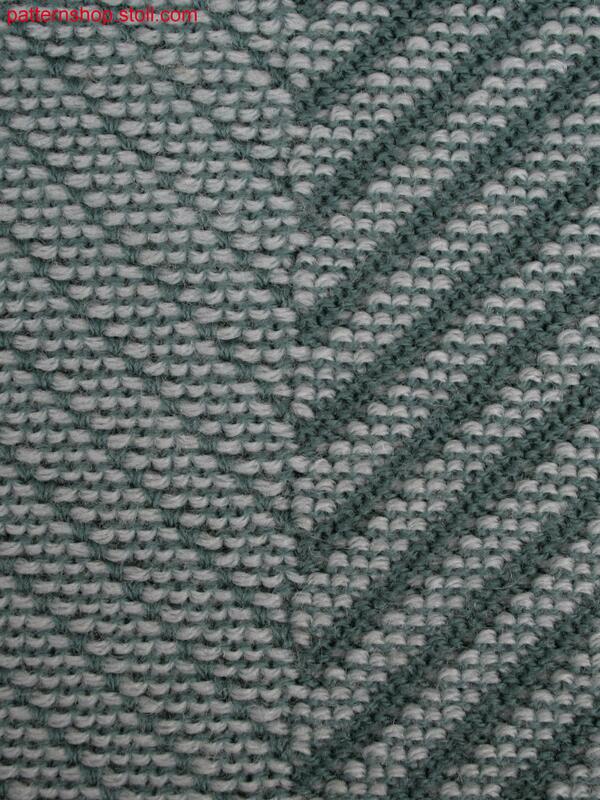 Big front part swatch with 2-colour herringbone pattern madein purl-jacquard structure. 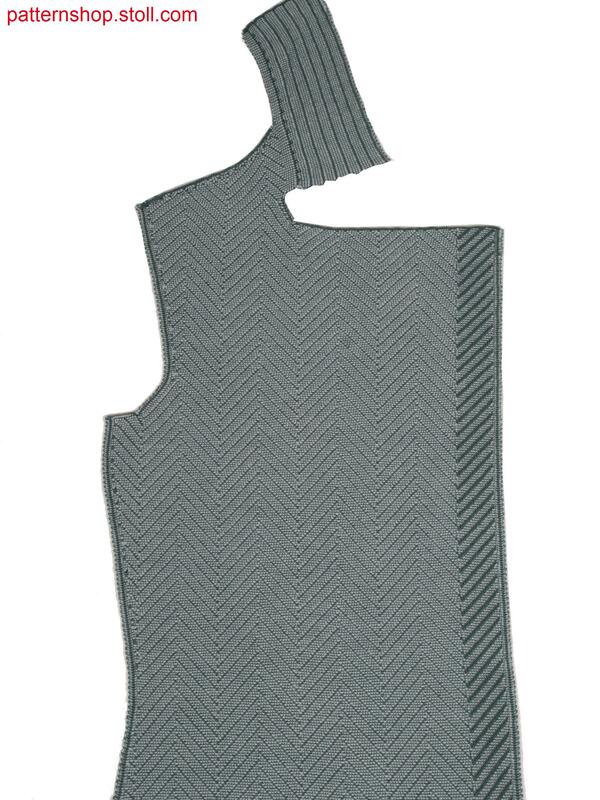 Fitted Fully Fashion cardigan with 2-colour herringbone pattern made in purl-jacquard structure. 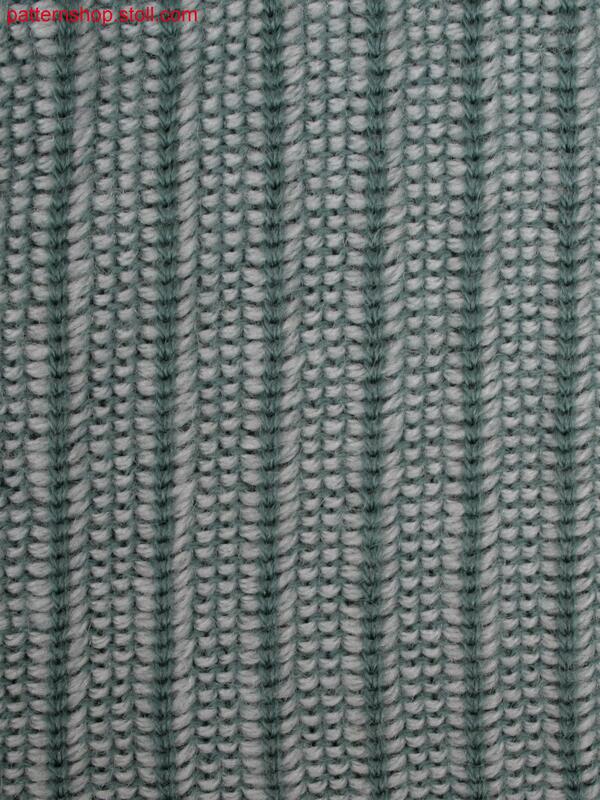 Magnetic button closure fixed by bonding. Body knitted in one piece, knitted on collar and belt loops and back yoke reinforcement. 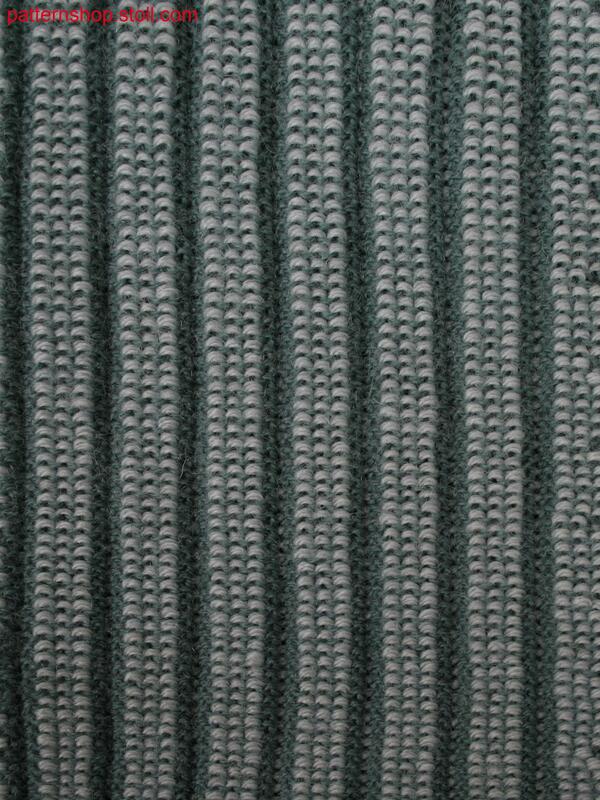 1 knitted fabric(s) / Strickteil(e) 64 min. 0 sec. 0.80 m/sec.